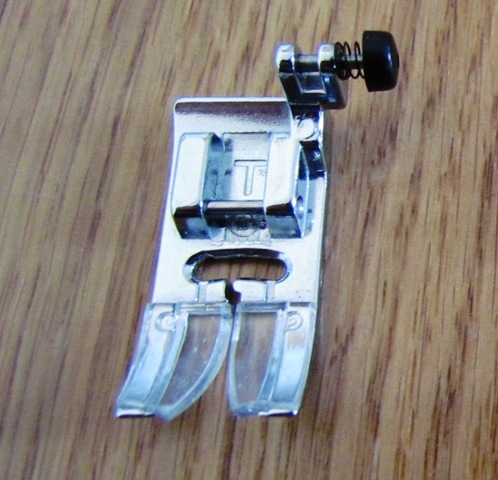 Different sewing machine feet have different purposes for the variety of sewing that can be done. Changing the feet of a machine is quite simple as there will be a screw or catch at or near to the back where the foot attaches or sometimes on the actual foot itself. Each machine may have a few different feet and these are the one that came with the one I use. 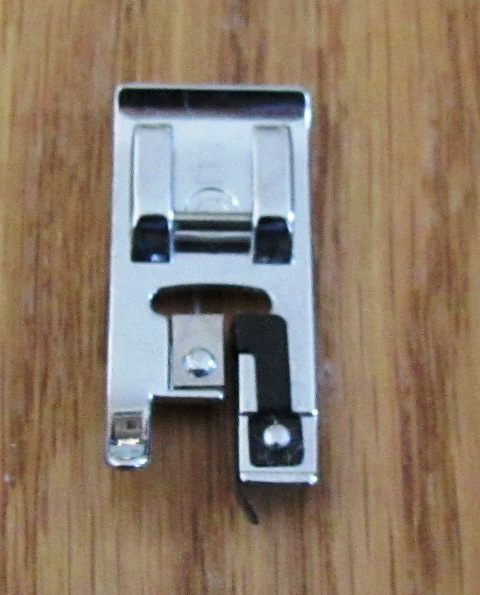 Don't worry if the machine you have doesn't come supplied all type of feet as most sewing only uses the basic ones like the all purpose and zipper foot. This could depend also on how many different patterns are available and the cost of the machine. If special sewing is going to be done then extra feet may be bought. This is probably the most used foot of all as its name suggests. 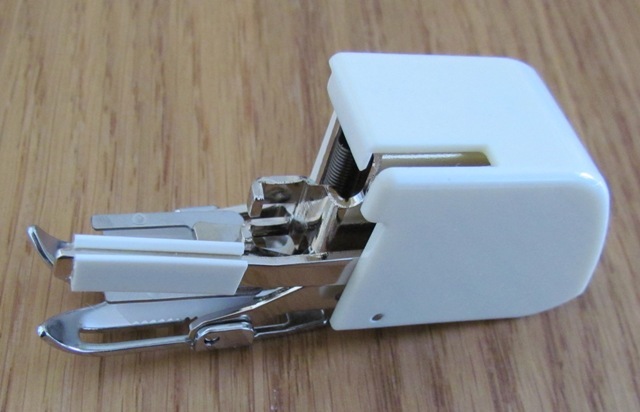 This is used for general sewing and can do straight and zig-zag stitches. This can be also used for patchwork, decorative and smocking stitches. 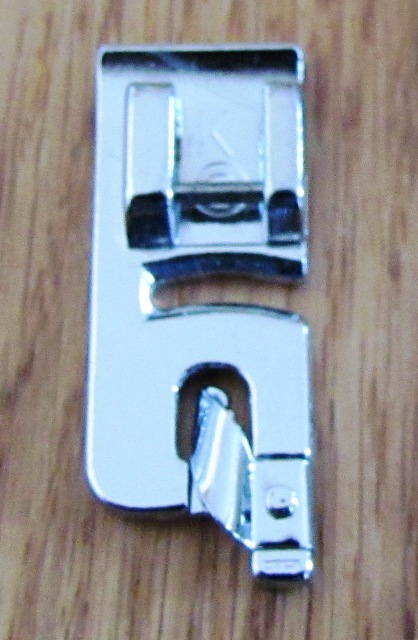 This only does what the name suggests and is for sewing in zipper fastenings with a straight stitch. It also can sew very near an edge if it is required because the needle hole is right at the edge. This foot cannot be used for any zig-zag stitches as if you compare it to the all purpose foot the needle hole is not in the middle or has any width. 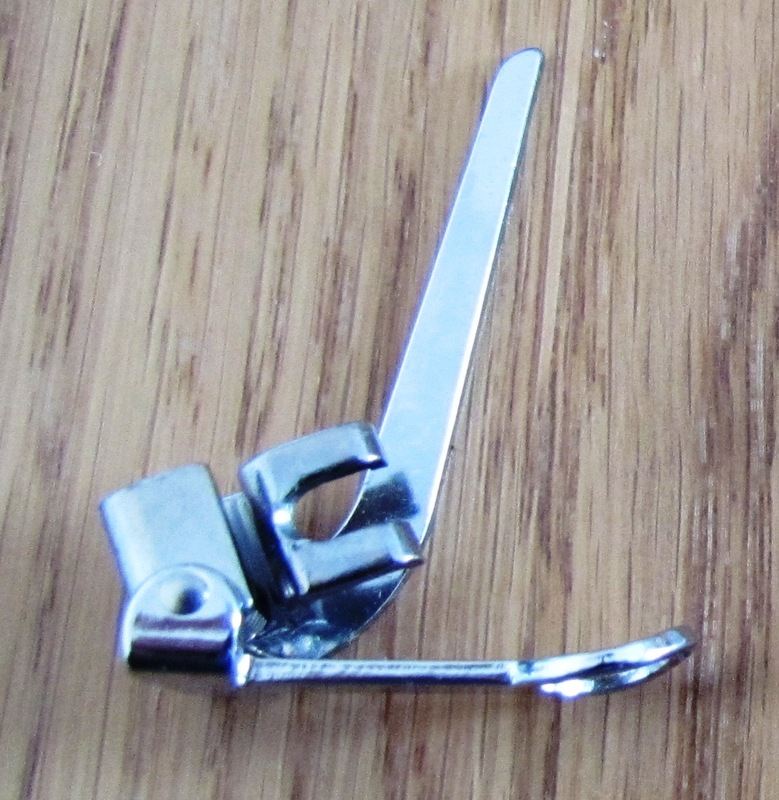 If a zig-zag stitch was attempted with this foot then the needle may break or the machine could be damaged slightly so it is best not to risk it. 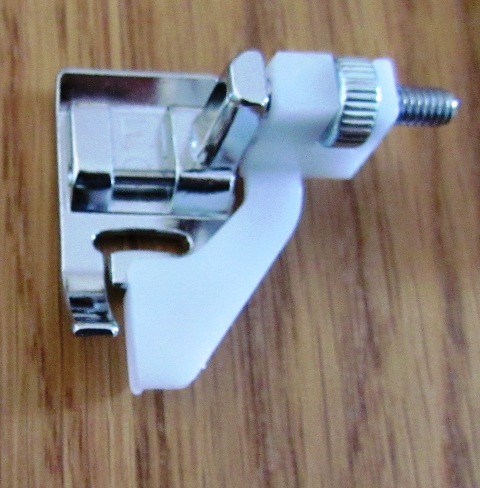 The Quilting Foot - This one is also for straight stitching as needed for quilting. The hole for the needle does not allow for zig-zag stitching and the larger side of the foot can keep the fabric in place. The Blind Hem Foot - The fabric is folded in a special way before it is sewn and hems without the running stitch being seen on the right side. This can be used with stretch or no stretch fabric. Narrow Hem Foot - The fabric is placed along the curve inside the foot to get a narrow hem. This can be used in hemming fine fabrics like net curtains. The Overcasting Foot - The black part of the right hand side of the foot is placed at the edge of the fabric and a zig-zag stitch is done over the edge of the fabric to stop fraying. 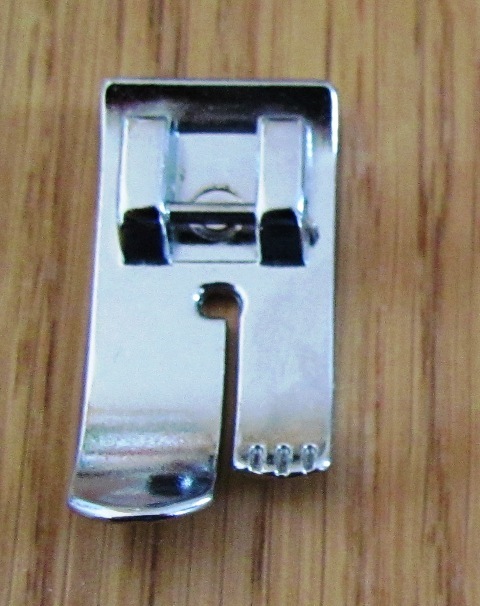 The all purpose foot can also be used with a zig-zag stitch. 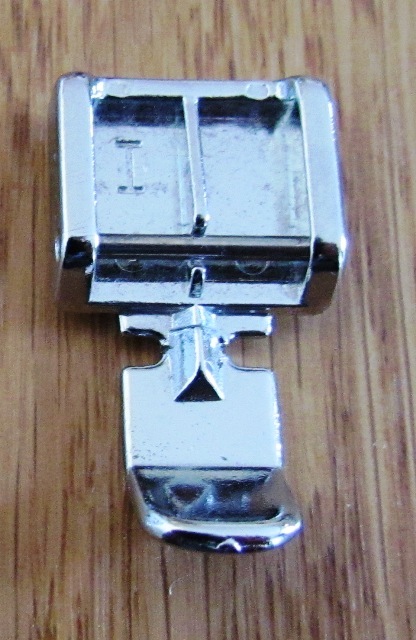 Free Motion Embroidery or Darning Foot - The long arm at the top of the picture rests against the machine and the stitching is done in a circular hole pictured a the bottom. This allows free movement to darn or to embroider without set patterns such as writing names. 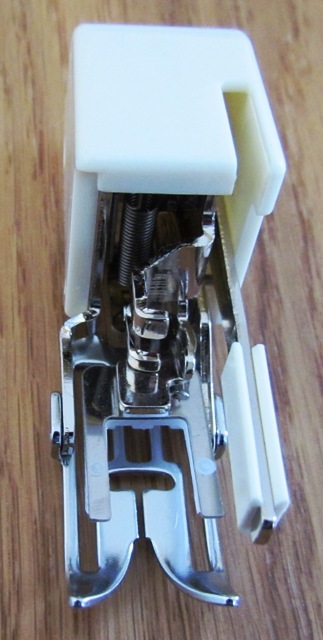 This looks complicated and is great if what you are sewing is uneven or hard to sew. Sometimes it is hard to see the sewing line with this foot and it's purpose is to feed the top and bottom fabrics evenly. This will help if matching up stripes, plaids and other patterns. Other feet can be used instead of this foot with the fabric needing extra guiding or slow sewing. 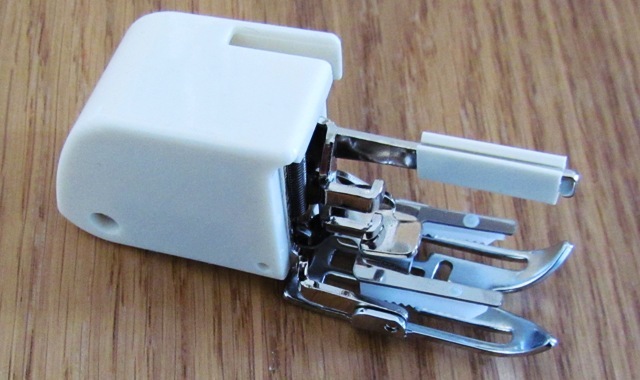 A machine is usually supplied with a handbook that will give descriptions of the different sewing machine feet included with your machine and how to attach and use them. There are lovely machines for every pocket at the Sewing Machine Shop. The handbook should also say how to obtain spares or extras such as feet, but I have included an Amazon search box to help to find the ones you want. Enjoy trying out the different ones you have.